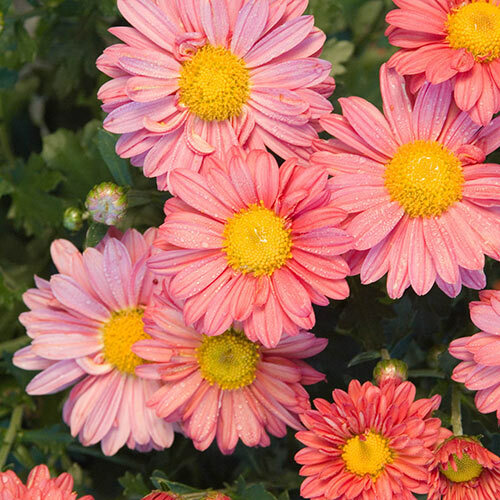 Instead of average mums you'll need to discard once frost gets to them, this mammoth mum will provide you with reliable, trendy color year after year! By planting in spring, you'll give this one time to establish its roots, so it'll survive winter frosts and come back strong each year. It takes about three years to reach its mature height, which is huge—up to 3.5 feet tall and 5 feet wide! With no pinching or deadheading needed, it'll carpet itself in a perfect mound of vivid coral blooms. Because it perennializes so well, you can use this sort of like a hedgrow for tidy structure. Foliage TypeAromatic, alternate deeply lobed, dark green leaves, gray underneath. PruningMinimal care: no pinching, pruning or deadheading. Winter CareMulch in late fall to prevent frost heave as winter weather freezes then thaws. Additional InformationMost varieties benefit from being divided every 3-4 years or when their flower production drops. Planting InstructionsProvide adequate spacing to get the full effect of the ball-shaped appearance. Requires ample moisture during growing season. 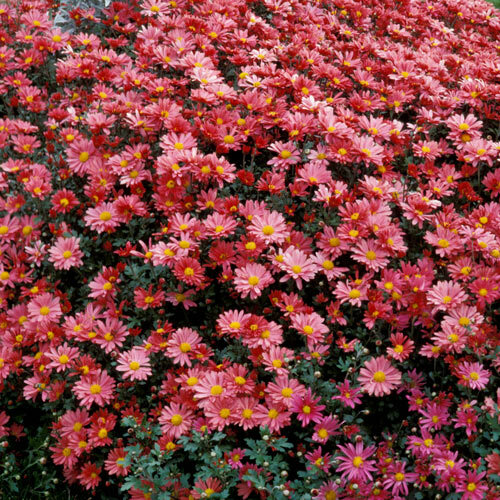 Mums grown under moisture stress do not achieve the desired size. 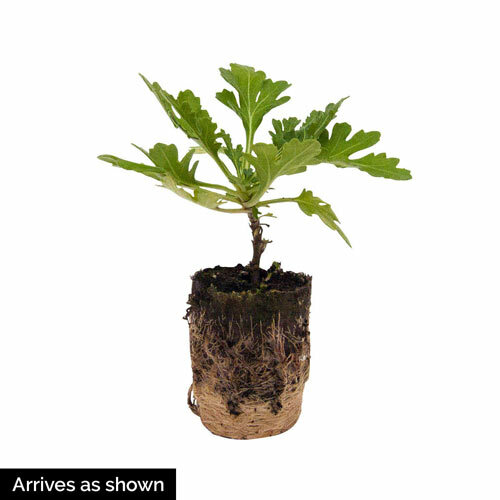 Set in ground at same level as growing in the pot.